Robert Harden Reid was born July 17, 1821 near Moffattsville, Anderson County, South Carolina. 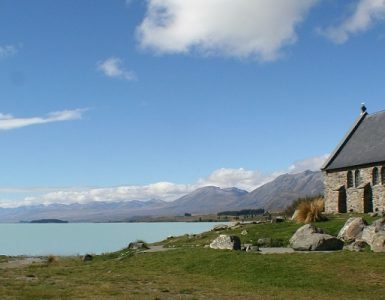 His father was Andrew Reid, an elder for nearly fifty years in the Good Hope Presbyterian Church. His mother’s family name is Hamilton, but the sources consulted did not provide her given name. As Robert matured he received his education locally as he had the financial means and opportunity. Dr. B. M. Palmer influenced the life of young Robert beginning with his visit to the Reid home in 1840. Dr. Palmer conducted the worship service that Sunday at Good Hope Church and Reid commented that “he made a deep impression on me. I remember his theme distinctly—blind Bartimaeus—although more than fifty years have passed since I heard his lecture” (Johnson, B. M. Palmer, 69). As Robert pursued college entrance, he wrote B. M. Palmer in April 1843 seeking information concerning the qualifications for South Carolina College in Columbia (University of South Carolina). Dr. Palmer wrote a lengthy letter in response commenting that Reid’s weakness in mathematics would preclude his entering the college as a sophomore and noted that his preparatory studies were not balanced, that is, some subjects had been addressed more fully than others. Palmer encouraged Reid saying, “I think that by hard study you might catch up with the class, and thereby save a year in college” (Johnson, 140). As further encouragement, Dr. Palmer told Reid that he could reside with his family in Columbia and that he would not be charged board. R. H. Reid entered South Carolina College in 1843. He was honored at graduation for his diligent studies by delivering the valedictory address before Gov. B. F. Perry, Col. Wade Hampton, trustees of the college, and his graduating colleagues. Gov. Perry described R. H. Reid as a tall slim youth who spoke with a trembling voice but with great earnestness and conviction. Undoubtedly, the tutoring provided by Dr. Palmer and the love shown to him in the Palmer home contributed to Robert’s success at college. When Rev. Reid was 83 years old he said of B. M. Palmer that he had “never found but one Dr. Palmer—the prince of preachers” and “a model Christian gentleman” (Johnson, 141). Rev. Reid went on to prepare for the ministry as a member of the class of 1849 at Columbia Theological Seminary. With his transition to the divinity school, he moved from the B. M. Palmer home to seminary housing. During his final year of studies, he served as chaplain of Barhamville Collegiate Institute having been licensed to preach by South Carolina Presbytery during his second year at the seminary. He was called to his first work as an ordained minister in 1849 to the First Presbyterian Church in Anderson. In November 1851, Robert and Mary Julia, the daughter of William Anderson of Orrville, South Carolina, were married. Rev. Reid’s service in Anderson was brief because he accepted a call to the Nazareth Presbyterian Church, Old School, in the spring of 1853, which begin his four-decade ministry to the congregation in what is Spartanburg County. Rev. Reid’s ministry expanded beyond his service as the minister of the Nazareth Presbyterian Church. In his New Year sermon for 1857, he suggested that schools were needed for the education of the church’s children and others in the area. A board of trustees was elected in June 1857 with its chief initial duty being to solicit funds for constructing the campus needed to educate both girls and boys. In October 1857, the corner stone was set for the building that would provide classrooms. Over the years, the Reidville institutions grew despite the difficult times of the Civil War and Reconstruction. 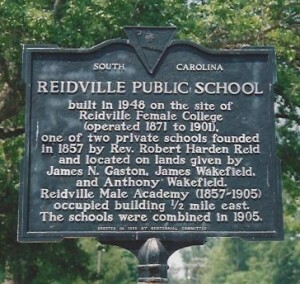 In 1871, the Female Academy became the Reidville Female College. In honor of the man whose sermon prompted the organization of the schools, the village in which the institutions were located was named Reidville. As the years passed, the village of Reidville grew around the two schools. Running along the half-mile route of Main Street extending between the male and female institutions were faculty residences, stores and services necessary to sustain the community, and other buildings. 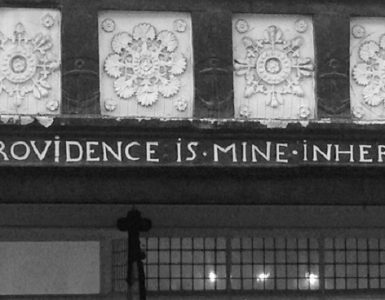 Currently, the Reid house, the faculty house, the Rev. W. C. Smith house, the Leonard Wilson House, the Leonard Wilson store, and the dormitory of the Female College are extant. One of the old buildings, Dr. Frank Leonard’s store, has been restored and is open to the public as a sandwich and ice cream shop. The Female College was razed to construct the Reidville public school, and the Male Academy was demolished to provide a public baseball field. In an address R. H. Reid delivered at Bullock’s Creek Church in York County for its centennial in 1872, he recounted some of the history of the schools. 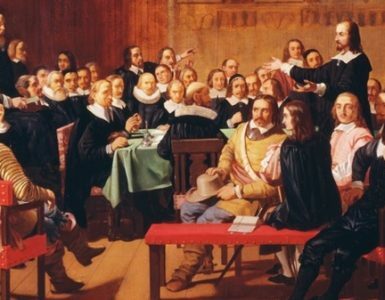 He attributed the driving force for the schools to men in the Nazareth Church whose object was “to secure the best education possible for their children and for the promotion of the general interest of education throughout the State” (Jones & Mills, 352). The men were persistent in their efforts to provide a quality education for the local children and they met semi-annually to examine teachers and transact business. Rev. Reid also mentioned that at the time of his address at Bullock’s Creek, the school had taught students from Florida, Georgia, Alabama, Mississippi, North Carolina, and Virginia as well as from South Carolina. During the scholastic year of 1871-1872 there were one hundred forty five students enrolled. Rev. Reid attributed the school’s success to its founding board and the efforts of the Nazareth Church. J. B. O. Landrum observed in his history of Spartanburg County published in 1900 that Rev. Reid was the “founder of these schools and the first and only president of the Board of Trustees” (p. 504). In the minutes of the Presbytery of Enoree’s meeting at First Presbyterian Church, Greenville, May 1, 1899, during the communications it was noted that the “venerable Rev. R. H. Reid, the senior member of our body, now quite infirm, being present, was invited to say a few words to the Presbytery and to lead in prayer for his brethren” (p. 8). Unfortunately, there is no mention of what he said to his fellow presbyters in what may well have been his last attendance at a presbytery meeting. Possibly, he told his fellow elders that he could no longer attend the meetings due to his declining health and he expressed his appreciation of and continuing prayers for the work of the presbytery. He continued his ministry at Reidville until 1906 when his health problems contributed to his decision to resign from the church. Rev. R. H. Reid died, Feb. 3, 1907. The Spartanburg Herald, Feb. 5, 1907, published on its front page an obituary for Rev. Reid commenting that the “funeral services took place yesterday afternoon at 1 o’clock at Nazareth Church. The services were conducted by Rev. A. A. James, of Pacolet, and Rev. J. W. Shell, of this city. Seldom has so impressive a funeral been held in this section. 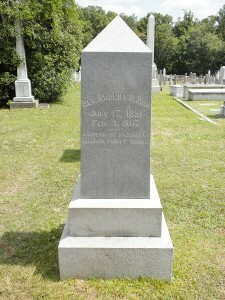 In the long line of people that followed the body to its last resting place could be seen men and women of every walk of life, indicating the great respect and love for the man given by all who came in contact with him.” He was buried in the cemetery of the church he served for forty years and near the community of Reidville where many were educated and taught the gospel. Rev. R. H. Reid and Mary Julia had three children—Rev. Benjamin Palmer Reid; H. Whitner Reid; and Ella, who married Rev. Robert P. Smith. 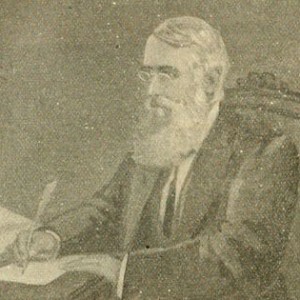 Benjamin Palmer Reid served nearly all his ministerial life in South Carolina including the Clemson College Church, 1895-1900, and thirteen years as the stated clerk of Bethel Presbytery. B. P. Reid died in 1913 in Reidville. Ella’s husband, Robert Smith, served as the principle of the Reidville Boys Academy, 1874-75, and the Girls Academy, 1877-1885. From 1885 to 1888, he was the president of Presbyterian College in Clinton. Rev. Smith concluded his ministerial service in North Carolina dying in Asheville in 1936. In 1931, Rev. Smith published Experiences in Mountain Mission Work. 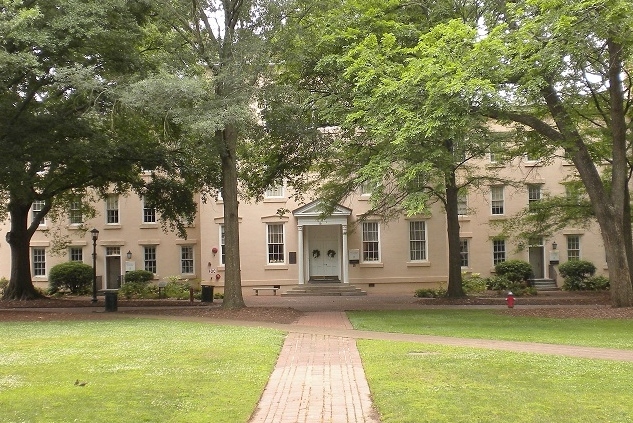 Sources–include: The header image was taken by the author and it shows one of the extant, as of 2012, campus buildings of the Reidville Academy. T. C. Johnson’s The Life and Letters of Benjamin Morgan Palmer; J. B. O. Landrum, History of Spartanburg County, 1910; Jones and Mills, History of the Presbyterian Church in South Carolina Since 1850, 1926, 351-54, 693-95, 756-58; Mrs. J. C. Anderson, Mrs. H. Burchstead, Mrs. M. B. Dendy, and Mrs. W. C. Leonard, Reidville Presbyterian Church, 1889-1989; and K. Shoffner, Reidville: Where Time Stands Still. 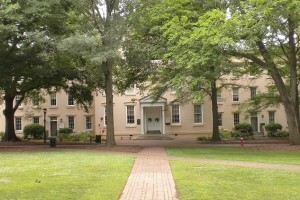 The picture of Rutledge Hall, 1805, and the other two images were taken by the author. Clarification editing was done by the author on August 27, 2015. Thank you for reading the biography. Rev. Reid was a dedicated and humble servant of the Lord. From what I could tell in my research, he did not care for pomp, accolades, and honors, but was content simply doing what he could as a pastor and an educator.